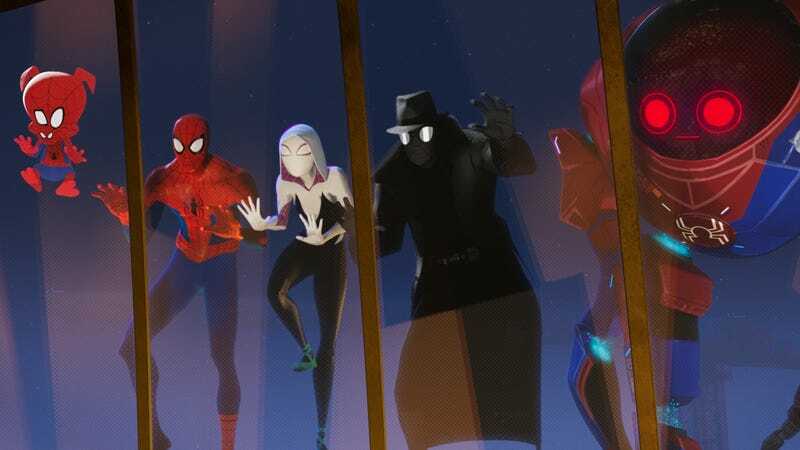 The great thing about Sony’s recent Spider-Man: Into The Spider-Verse (although to be clear, there are a lot of extremely great things about Into The Spider-Verse) is how open a concept is; even just sticking to the 6 or 7 Spider-folks in the movie, there are all sorts of stories and settings you can explore with its universe-hopping premise. Now it sounds like Sony is trying to figure out how to do exactly that, a concept made significantly trickier by the licensing deals surrounding the characters; Miles Morales might not have a hard time visiting other superhero universes, but for studios dealing with the big guns at Marvel and Disney, it’s a much trickier prospect. This is per The New York Times, which noted the spin-off plans as part of larger coverage of an interview today with Sony CEO Kenchiro Yoshida, emphasizing his company’s dedication to its entertainment divisions like Sony Pictures and Sony Pictures Animation. Sony’s TV arm is in a weird place at the moment; although it still has a few big-name productions like Better Call Saul on the air, the recent trend that’s seen networks axe third-party shows in favor of content from in-house production teams has made it a lot more difficult for Sony (whose foothold in the U.S. TV network market is minimal) to get shows on the air. The popularity of Spider-Man (and Spider-Woman, and Peni Parker, and Spider-Ham, and all the rest of the Spider-Verse’s colorful characters) could help overcome those resistances—if they can get Disney/Marvel to sign off on it.